Business that are forces for good also see bottom-line benefits. This is not only about seeing value, or even securing a competitive advantage, this is a matter of survival. 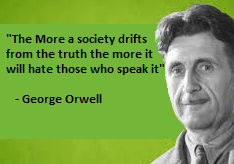 The number of companies with a social conscience has been steadily growing. This is exemplified by the growth of B Corps certified companies that are investing in environmental sustainability and focusing on workers’ rights. Since 2007 tens of thousands of companies have earned B Corp certification this includes SMEs and well-known brands like the internet sensation Kickstarter and outdoor clothing giant Patagonia. 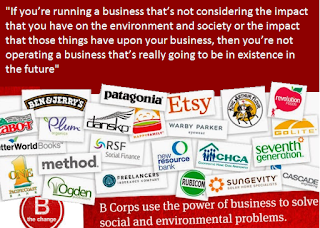 In 2014 B Corps were emerging as a significant sustainability trend. As of August 2017 there are more than 22,220 B Corps certified businesses and almost three dozen states have passed legislation allowing companies to incorporate as public benefit corporations. 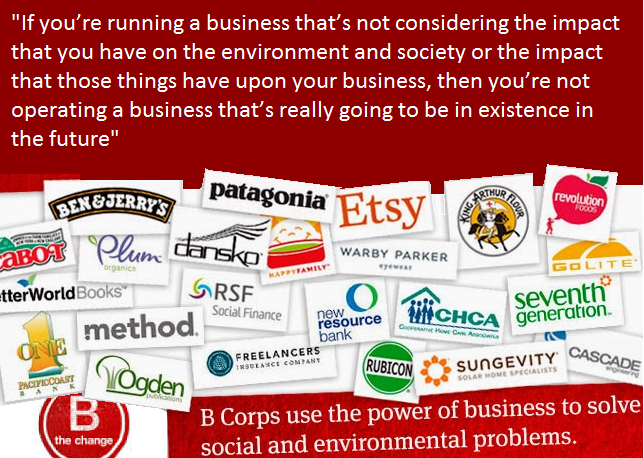 The B Corp certification is the creation of a nonprofit organization called the B Lab. 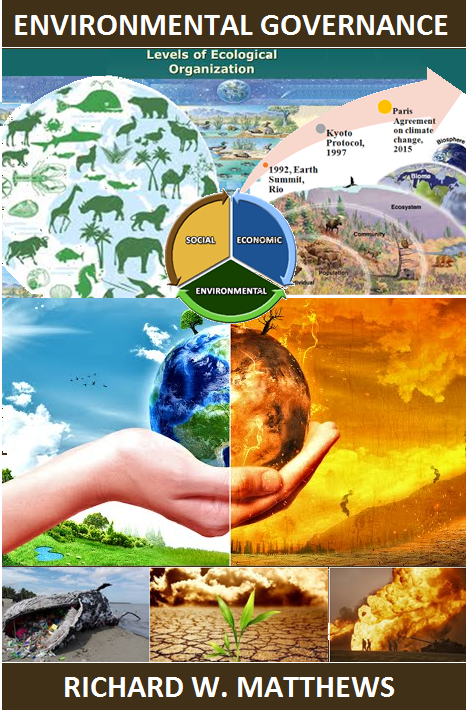 They have rigorous certification standards that include social and environmental performance, accountability, and transparency. They review all a company’s business practices from supply chain sustainability to labor practices and philanthropy. Katie Wallace is the assistant director of sustainability at New Belgium a certified B Corp. She asserts that sustainability is fundamental to survival. She makes the point that while her company got involved for values-based reasons they are finding that it is paying off financially. "If you’re running a business that’s not considering the impact that you have on the environment and society or the impact that those things have upon your business, then you’re not operating a business that’s really going to be in existence in the future," Wallace is quoted by PBS as saying. She added, "economically it was a really powerful business model and has been a key ingredient of our success over time." Green Mountain Power (GMP) recently celebrated its third anniversary as the first utility in the world to become a certified B Corp. GMP illustrates how a utility company can have a major impact on energy consumption. 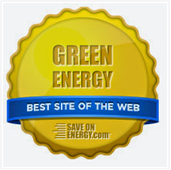 They help their customers reduce their carbon footprints by minimizing their energy usage. GMP offers energy savings through innovative techniques, heat pumps and home batteries. The most recent B Corp. certified company is Keap, the candle maker started by two ex-Googlers. These guys demonstrate responsible company conduct. They use sustainable raw material and they donate a portion of their revenue to the climate change charity SolarAid.